ABOVE: Canon Garland was instrumental in the formation of The Soldiers’ Church of England Help Society. This article appeared in the Anglican Diocese of Brisbane’s monthly newspaper, “Focus”, for June-July 2012 (page five). This month we wish to tell the members of the society about the Seaside Home. The country branches can help us a good deal in this direction by sending to this office the names and addresses of any returned soldiers for whom they can vouch as being of good character, and who they think would like to spend a holiday at the seaside. The home will be definitely opened for men on the 1st of January, 1918, and the official opening will be held on some date yet to be definitely settled. In connection with the official opening, it is expected that by an arrangement with the Railway Department, a special train or car for the day will be run from Brisbane to Tweed Heads, enabling those members of the society who are in Brisbane to be present. Notification of this will be published in the papers, and we hope to have a good roll-up. Perhaps some people may still be doubtful as the conditions on which we will accept returned soldiers as residents of this Home. First, as regards the men, we expect each one to be of good character, that is, not likely to be drunken or disorderly. 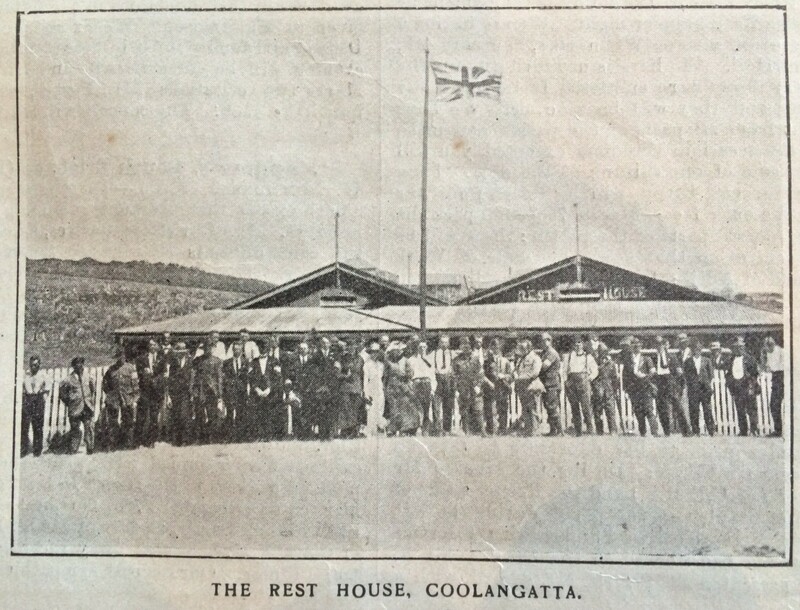 Secondly, absolutely no charge is to be made for use of the home, furniture, cooking utensils, beds, etc., so that the only expense that a man will incur will be his railway fare to Coolangatta and the cost of his food. A resident secretary has been appointed, a returned soldier, of course; his duty will be to take care of the home and its members. The Rest Home is in need of a gramaphone [sic] and an accordeon [sic]; we shall be glad is someone would make this gift as a Christmas-box. The work in camp continues as heretofore, the concert party still continuing its excellent efforts; Miss Morris presenting each Tuesday a really fine programme, which is thoroughly appreciated. The Sunday teas continue to be as largely attended as in earlier days, augmented chiefly by returned soldiers, and to the teas’ success we are very much indebted to all the faithful workers providing tea and sing-song so regularly every Sunday. The honorary secretary of the “Anzac Club daily teas” reports that the morning and afternoon teas have proved a great success, and many of the returned men have expressed their appreciation of the work being done. Records for the month of November show us that 1,250 men have partaken of morning and afternoon tea, which is supplied without charge. Thanks are due to a number of ladies who have supplied refreshments and given their services, and also to firms which have donated goods. The Toowoomba Help Society reports that the ladies of the Help Society are giving to returned men a dinner on Christmas Eve, and on Christmas Day have invited all returned soldiers at Toowoomba who have no home, to come to the rooms and have their dinner there. From twelve to twenty returned soldiers make use of these rooms on many days of the week. We hope before these notes come before our members that we shall be in a happy state of knowing that our boys can be adequately reinforced. Should this new change of affairs take place, our Society will need to be very much alive, and if the camps fill again, the work for caring for the men in camp and for returned soldiers will be greatly increased. A cable from Canon Garland [ David John Garland ] announces his safe arrival in Cairo. We hope soon to hear of some of his work on the troopship and at the Front. 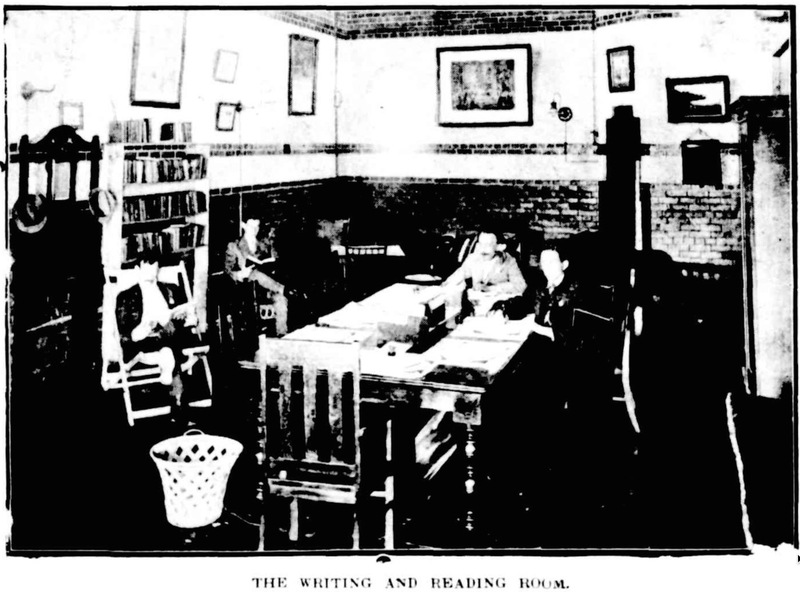 This month our picture shows a general view of the sitting room of the Anzac Club. It can be seen how comfortable and home-like it is. The Society wishes all its members a Happy Holy Xmas; a most eventful Christmas in the history of the world, for it is the first Christmas which will be celebrated with Jerusalem in possession of Christians since the eighth century. This month we present our regular Quarterly Statement, which shows a very creditable report. 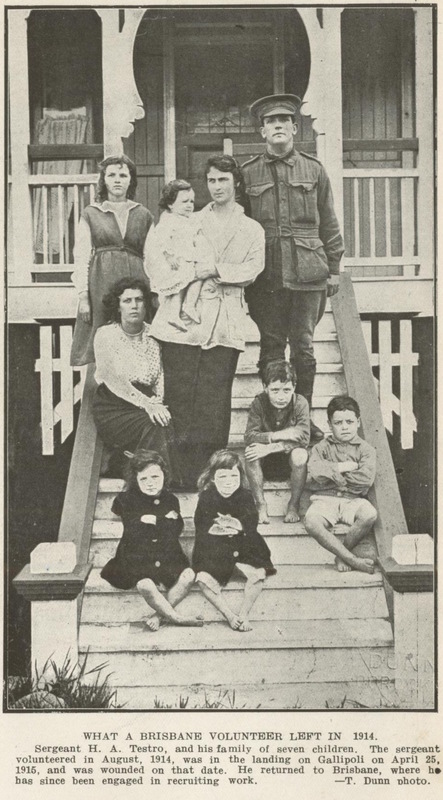 The Seaside Home, costing so far £550, which in conjunction with the £150 spent on the Anzac Club, shows an expenditure of £770 on returned soldiers for this quarter. Gifts of games and literature should be addressed to the Soldiers’ Church of England Help Society, Anzac Club, Charlotte Street, Brisbane; letters and donations to Box 47, Brisbane. FROM 1st SEPTEMBER, 1917, TO 30th NOVEMBER, 1917. (signed) H.F. Le Fanu [ Henry Frewen Le Fanu] and G.F. Weatherlake [ George Frederick Weatherlake ], Treasurers. – from pages 11 and 12 of “The Church Chronicle” (Church of England, Diocese of Brisbane, monthly journal) of 1 January 1918.